Swedish instrumental quartet ANIMA MORTE plays music inspired by the classic Italian horror and giallo soundtracks made famous by Goblin, Fabio Frizzi, Ennio Morricone and many more. With their roots in classic progressive rock they make perfect use of Hammond organs, Mellotrons and Moogs to create a creepy and haunting atmosphere. 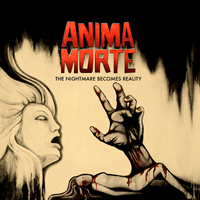 Anima Morte is finally back with the follow-up to the cultclassic album 'Face The Sea Of Darkness', This time they take their 70'ies inspired progressive horror rock one step further. Together with producer Mattias Olsson (Änglagård, White Willow) they delve deep into dark atmospheres and intricate experimental arrangements without loosing the track of strong musical themes.Highly recommended if you enjoy the music of horror movies past, but also classic prog acts such as King Crimson, ELP and Rick Wakeman.